The DJI Intelligent Flight Battery for Phantom 3 is a 4480-mAh, 15.2 V lithium-polymer battery designed for the Phantom 3 series. 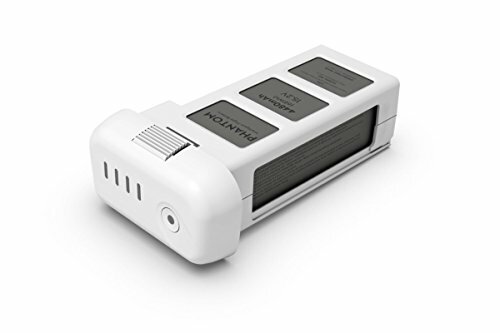 This battery is the same battery that comes with the Phantom 3 series of quad copters. It features four LEDs that display remaining battery capacity. Power management is handled internally meaning the battery doesn’t require a separate balance lead to control charging.